Tarpon, a.k.a. Silver Kings, are a well known and cheer inducing fish species in Louisiana waters. For years, these fish held the penultimate spot atop sport fishing’s popularity polls. Not every angler had the means to catch one, but just about every angler you talked to wanted to catch one. Is catching tarpon on your bucket list? 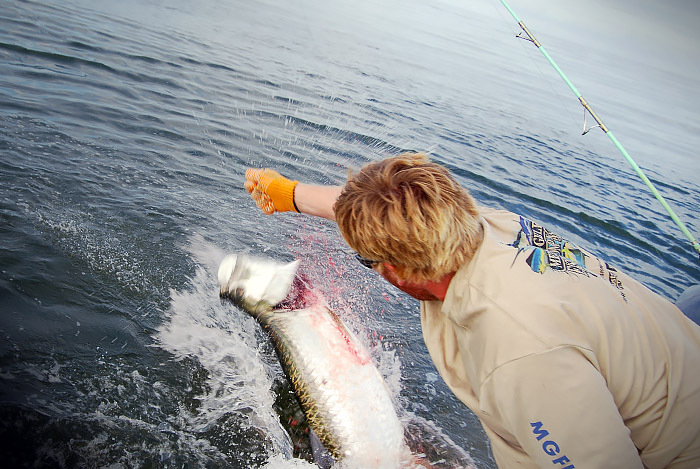 At MGFC, we bring anglers to this event, and elsewhere throughout the Gulf to catch tarpon. They’re known as super strong fish, who don’t like cold water. They’re found in Louisiana’s Gulf waters in the summertime, and reeling one in is a thrill. 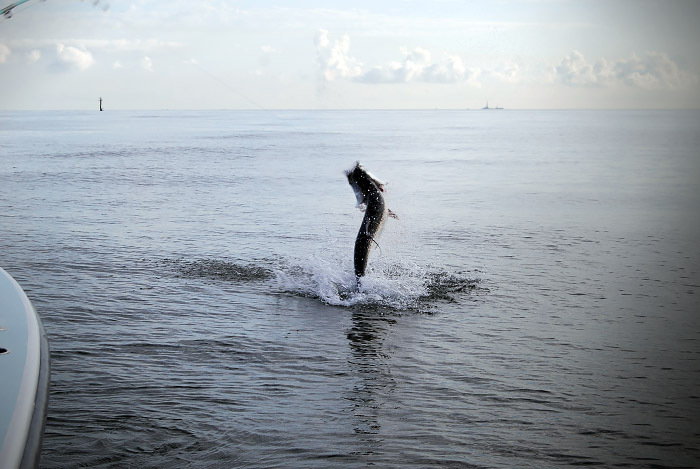 Tarpon fishing in Louisiana’s Gulf waters has drawn the attention of out-of-state anglers and local fisherman for many years. The area referred to by locals as the “tarpon triangle” is bound by Southwest Pass, the Empire Canal and Grand Bayou. 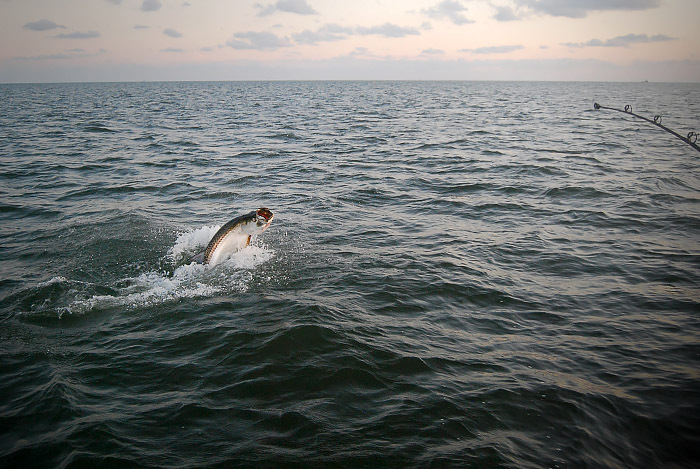 Tarpon gulp air from the surface, and then release it, causing tell-tale bubbles, which can be spotted with a keen eye. Slicks, which are created when tarpon feed on baitfish, can also be useful in zeroing in on a the species. Boats will often spend the entire day moving back and forth within the boundaries of the triangle, as this area is known to be rich with the fish. Book a trip with MGFC now! Whether you’re an experienced tarpon angler, or a first timer, give us a call. Let’s go catch some tarpon! Heck, … let’s go set a state record!